This entry was posted in Uncategorized on June 5, 2014 by kearns. To help shorten lines and give you some new options, we are expanding lunch service to the magnificent dining service in Warren Towers. It has numerous food stations from which to select from– any and all are included in lunch with your voucher. Please enjoy Warren Towers dining today! It is a short 5 minute walk. 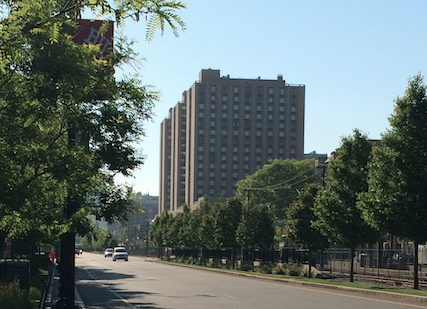 Exit the venue towards Commonwealth Ave. and turn left (heading towards Kenmore Square and downtown Boston). Warren Towers is across the street. Go into the main entrance, up the escalators, and show your conference badge to enter the dining hall. For those who need to stay near the venue (no more than 1/3 of attendees we hope), we will still have vouchers for the Food Court on the ground level of the George Sherman Union. This entry was posted in Uncategorized on June 3, 2014 by kearns. We will have buses leaving the venue for the Welcome Reception at the MIT Museum after the last presentation of the day (17:30). Since the weather is beautiful and some of you may be a bit chilly (we are working on it! ), you might also enjoy a 30 minute walk. In Cambridge, you might consider a different set of restaurants than the ones near your hotel or the Student Village. A map and restaurant list is provided here. This entry was posted in Uncategorized on June 2, 2014 by kearns. Neutrino 2014 will commence shortly. Attached is the final bulletin for the Conference, which has also been emailed to all registered participants. See you soon in Boston! This entry was posted in Uncategorized on May 29, 2014 by kearns. Registration for Neutrino 2014 is now open. We are also accepting applications for financial support, reservations for housing at the Boston University Student Village, and poster abstracts. This entry was posted in Uncategorized on February 12, 2014 by kearns. First Announcement of the XXVI Conference on Neutrino Physics and Astrophysics (Neutrino 2014). 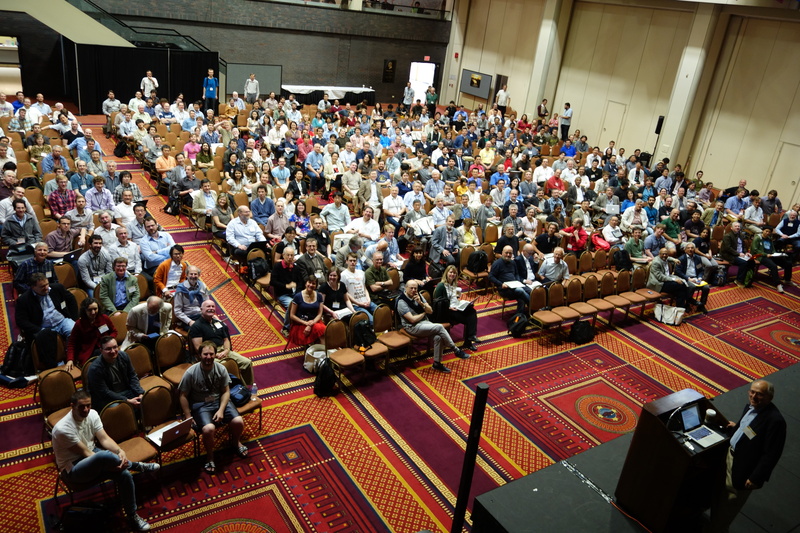 The 26th International Conference on Neutrino Physics and Astrophysics (Neutrino 2014) will be held in Boston, Massachusetts, U.S.A., from Monday June 2 to Saturday June 7, 2014. The conference is jointly organized by Boston University, Harvard University, Massachusetts Institute of Technology, and Tufts University. Registration will open in approximately one week. Please see the full First Bulletin for important details regarding the conference. This entry was posted in Uncategorized on January 29, 2014 by kearns.